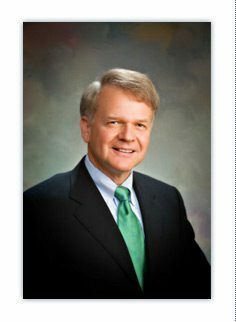 James R. Huntwork – Member – Salmon, Lewis & Weldon P.L.C. Jim assists clients, often in a multi-jurisdictional transactions, in buying, financing, developing, leasing and selling real estate and related assets, including: structuring joint ventures among developers, investors and landowners; financing real estate acquisition and development through equity investment, mezzanine lending and asset-based lending (both lender and borrower representation); developing retail projects, including site acquisition, master planning and leasing (both landlord and tenant representation); buying and selling electrical generation and transmission facilities; and structuring public/private real estate ventures. Developed standard forms and procedures for equity investments and mezzanine loan transactions for a Columbus OH insurance company. Served as the lead real estate counsel for a retail company while it grew from less than 10 stores into a Fortune 500 retailer with more than 400 “big box” stores internationally. Represented a major utility in acquiring and disposing of interests in electrical generating stations, including related switchyards and transmission facilities. Represented the developer of a 500,000 square foot class A high-rise office building, including a condominiumized parking garage beneath a public park. Represented the developer of a 500-acre commercial, industrial and research center based on a 99-year ground lease of municipal land. Represented the developer of a 1000-acre residential subdivision financed by a retirement fund for public employees.